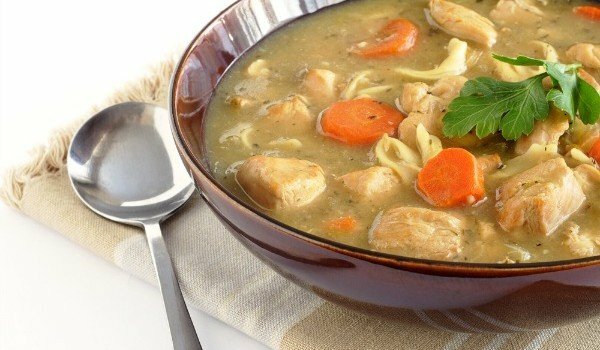 There are few things that can match the joy of dining on Japanese food at Shogun or Italian treats at Johnny Carino’s, but there are days when you just crave for soup. Fortunately, there’s plenty available in the Sunshine State, and not the same old stuff you eat when you’ve got a cold or trying to warm. In fact, these soups are delicious and filling enough to rival full meals. The Butternut Squash Soup is available at the Granville Café, and it’s delicious, gluten-free and vegan to boot. The soup is known for its extra smoothness and rich flavor, in particular, the dried cranberries and tannic walnuts. 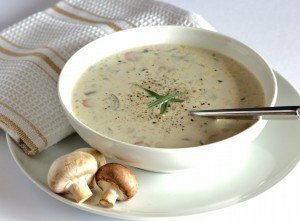 A favorite in many parts of the West Coast during fall, it’s now available all year round, making it the ideal choice if you have certain dietary restrictions or just want a nice bowl of soup. 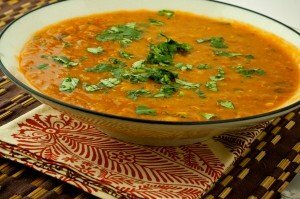 Lentil Soup is available at the Beverly Falafel, and you just need to go to the small mall by the Beverly Center order H.M. Lentil soup from the menu. H.M., which means homemade, is simple but delicious, and with a sip, you’ll understand why it’s a mainstay in most Middle Eastern restaurants. 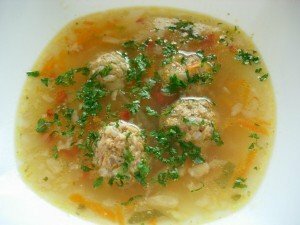 Several version of lentil soup abound, but what makes the Beverly Falafel soup different is its use of exquisite lemon ingredients that increase the brown lentil flavors, not to mention that it is seasoned with bits and pieces of garlic. The soup is delicious enough on its own, but when served with grilled pita bread, it becomes even more so, and it is filling to boot. Probably the best thing about it is that this meal will only set you back $5. If you happen to be at the S. La Cienega Blvd., Los Angeles then check out the Wild Mushroom Soup at The Bazaar. It’s a rich mushroom soup with raw egg yolk, bits of Spanish Idiazabal cheese and plenty of herbs that add flavor. Even though it packs a lot in terms of taste, it’s still light and has this distinct fragrance that’s both sophisticated and fun. Natas Pastries has three soup options, and each one is very good. The sopa de pedras commences with generous helpings of root vegetables with potato broth, and for toppings, it has a large, sweet cabbage that you’ll need to cut down with a knife and fork. If you like there’s Portuguese sausage available for added taste. On its own, the soup tastes great, but it also comes with a plateful of olives, olive oil, and some ciabatta-style bread to complete the dish. 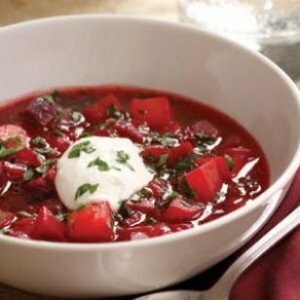 The Borscht at Barney Greengrass soup is distinguished for its pinkish tint, which is the result of the mix of sour cream and beets that have been smoothly pureed. No matter what your opinion of its appearance may be, everyone agrees that it tastes great. A mainstay in Ukrainian kitchens, this soup is served chilled, but it doesn’t change the fact that it tastes superb. Apart from the soup, an order includes cracker bread with lots of cream cheese and a basket full of breadsticks. 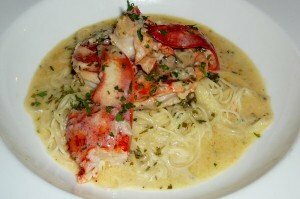 The Lobster Nage is one of the most popular soups at Bottega Louie in LA, and it’s hardly a surprise considering the savory pannacotta served, which is then topped with generous amounts of thick medallions of lobster tails, sultanas and toasted almonds, all of which spread around the dish. Next, the copper shaded broth is poured forth into the dish, and it’s ready. A single sip and you’ll notice the perfect balance of its taste, and you can have the soup with bread if you so choose. The Velvet Tomato soup is one of the highlights at the Cube Café, and unlike other soups, combines the cheese and tomato soup in the bowl instead of grilling the cheese, as is the custom elsewhere. 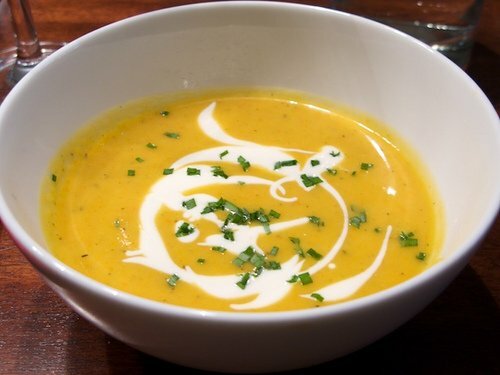 There are many reasons why the soup is popular, but mainly it’s due to the tangy taste of the Quebec cheddar and the special spices that give it a very distinct flavor that isn’t found anywhere else. 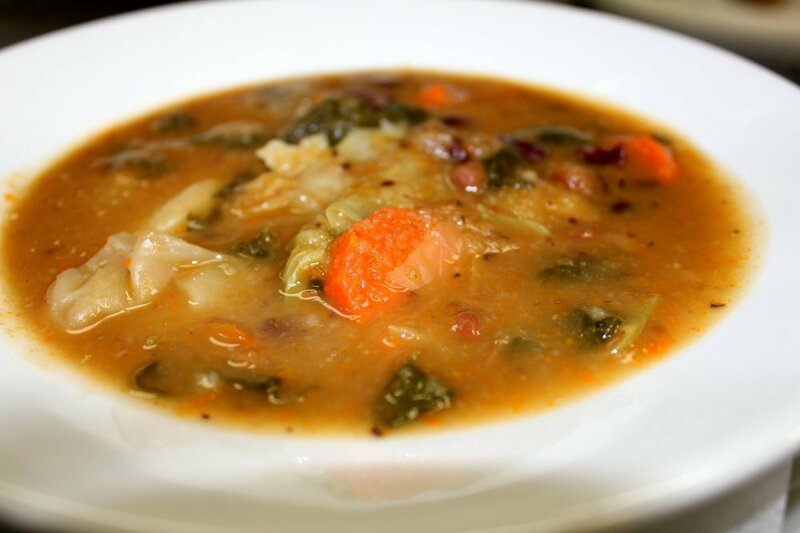 The Ciorba de Perisoare is one of the specialties in Sabina’s European Restaurant, and if you’ve ever wanted to get a taste of Northern or Eastern European soups, then the Ciorba de Perisoare is a must. This is a traditional Romanian soup, and really it’s big enough to be categorized as a tureen, and you also get a half loaf of white bread, chile pepper and a sour cream dish at the side. And if that’s not enough you also get a plateful of delicious pickles. The Ciorba de Perisoare itself, by the way, has three meatballs with chicken broth and a whole slew of vegetables, and it’s topped with some sweet onion and garlic.